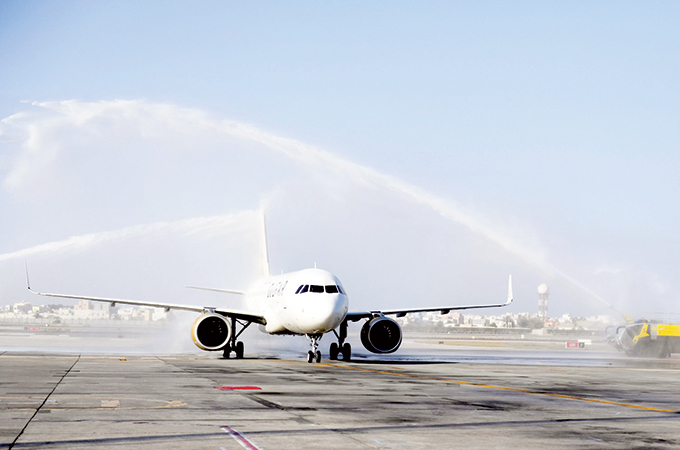 Bahrain Airport Company (BAC), the operator and managing body of Bahrain International Airport (BIA), welcomed the arrival of Gulf Air’s first Airbus A320neo, which landed on August 18 at the airport following its inaugural flight from the Airbus production facility in Toulouse, France. In addition to its wide single aisle cabin, the A320neo incorporates the latest technologies including new generation engines and fuel-saving wingtip devices known as Sharklets, which together reduce fuel consumption and CO2 emissions by approximately 15 per cent. The narrow-body aircraft has a range of 6,300km in a typical two-class configuration of 165 seats.